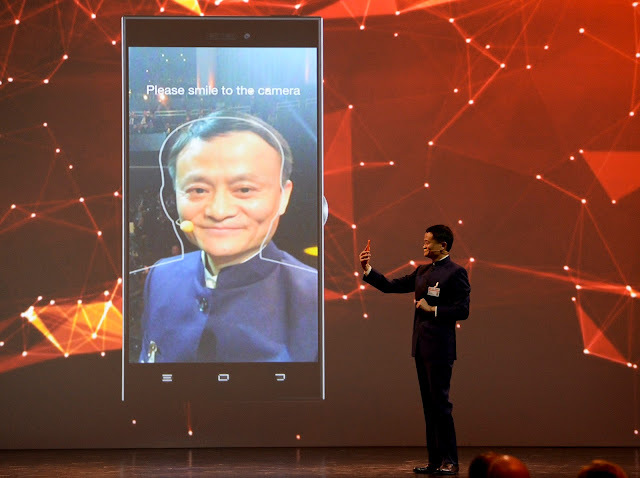 Alibaba is a Chinese e-commerce company that provides sales services via web portals, and not so recently, had entered the electronic payment ecosystem with its Alipay third-party mobile and online payment platform in February 2004. Alipay's latest novelty is facial recognition technology that allows a customer to pay by simply flashing a smile, which is now live in Huangzhou, the company’s global HQ, where it is in trial with KFC. The "Smile to Pay" service doesn’t require a smartphone, provided that the user has already signed up for the Alipay app and enabled facial recognition, as there's a 3D camera located at the point-of-sale to scan the customer’s face to verify their identity. Albeit, there is an option for phone number verification for additional security. It uses a technology called Face++ from Chinese startup Megvii, which capabilities, also includes the option to snap a selfie to pay. Alibaba launched a cash-less store earlier this summer, which is operational in 10 neighborhood stores in Shanghai, while utilizing its mobile app to optimize the customer experience. The company's believes to integrate elements from online and offline retail is evident in its ‘smile to pay’ system, which also provides a boost for its Alipay service.